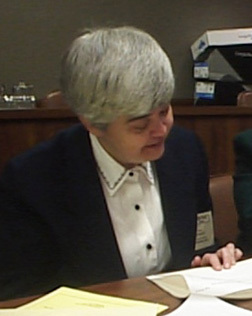 Susan Benofy, PhD, a native of Chicago, earned a doctorate in physics from St. Louis University in 1979, taught physics and mathmatics, and continues to do research in physics with her husband, Les, a physics professor at St. Louis University. She is Treasurer of Women for Faith & Family, and Research Editor for both Voices and Adoremus Bulletin. On Adoremus Bulletin web site: Three Part Series on Children's Liturgies. "What Have We Done to Our Children? How Catholic children became guinea-pigs for liturgical experiments" November 2003 through February 2004.